We're proud to stand behind all of our products, as well as our team of professionals who constantly go above and beyond to make sure your experience with Stanek Windows is nothing but the best. To that end, we're always looking to share our knowledge so you can make an educated decision for your home or business. The videos below are part of that effort. Thinking about replacing the windows in your home? At Stanek Windows, it’s our goal to give you all the information you need to make your window buying process easy and stress-free. 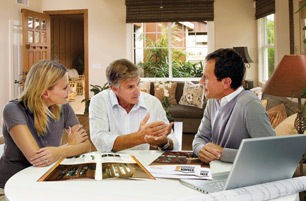 We’ll answer all of your questions during your free, in-home estimate. Discover more. 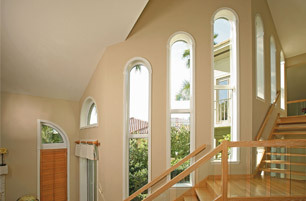 Stanek's bay and bow windows are sleek and easy to use. With unmatched beauty and superior construction, our bay and bow window features will wow you and your houseguests. Learn more about our double-hung window features including effortless operation for life, outstanding security, easy cleaning and protection from the weather. See Stanek Window's casement window features in action. Our beautiful windows offer easy cleaning, maximum energy efficiency, effortless operation, remarkable strength and outstanding security. 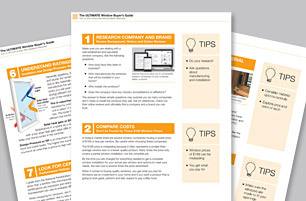 Does your home need replacement windows? Consider Stanek sliding windows. Our windows are of outstanding quality and offer effortless operation, outstanding security and maximum ventilation. Experience excellence with Stanek Windows patio doors. Our secure, custom patio doors are energy efficient and are built to last. 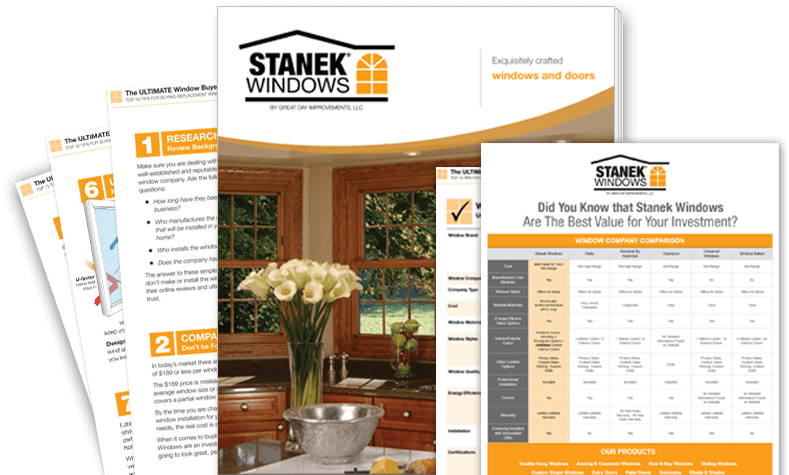 At Stanek Windows, our replacement windows offer the best value for your investment. Whether you need to replace your windows, or add a bay or bow window to create an unobstructed view of the outdoors, Stanek has endless customizable options for you. 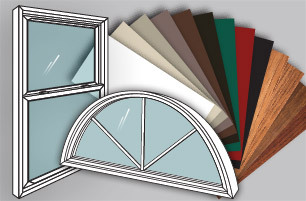 Our windows are of exceptional quality, offer superior performance and are energy efficient. Ellen Gets Replacement Windows We take a lot of pride in a job well done, and are grateful for the customers who let us know about it. Learn what Ellen, one our satisfied customers, has to say about our customer service, installation process and the new replacement windows in her favorite room. FlexScreen Flexible Window Screen Discover the many benefits of the world’s first flexible window screen, FlexScreen! Its revolutionary design eliminates the need for hardware, allowing for improved sight lines and maximum air flow. Simple, invisible, flexible. Enjoy the view! Casement Windows Are Easy to Open Learn more about our casement windows from National Sales Manager Sven Kramer. He'll explain how our windows are easy to open, clean and why they're among the best thermally-rated windows on the market.